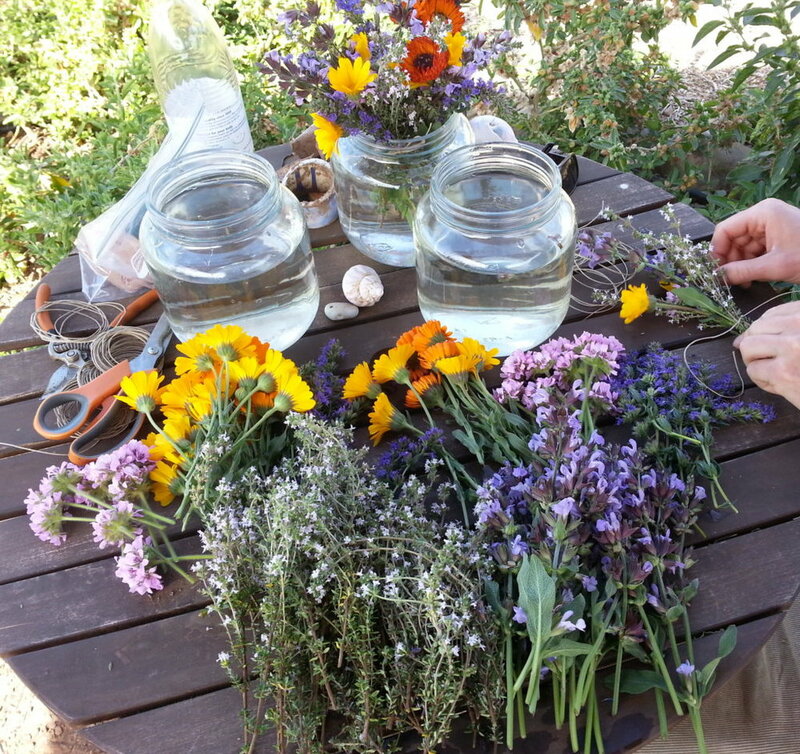 Have you dreamed of learning more about medicinal herbs? Not just the piecemeal knowledge you can pick up from a couple books or websites, or even from a few conversations with herbalists, but real, in-depth, experiential learning? Have you wanted to find the kind of course that would give you a serious foundation in herbal studies—an extensive and practical knowledge of medicinal herbs, including their preparations, uses, history, and cultivation? Now you can realize that dream. A vigorous foundational course in herbal medicine, and in-depth education on how to use herbs safely and effectively, including terminology, anatomy and physiology. 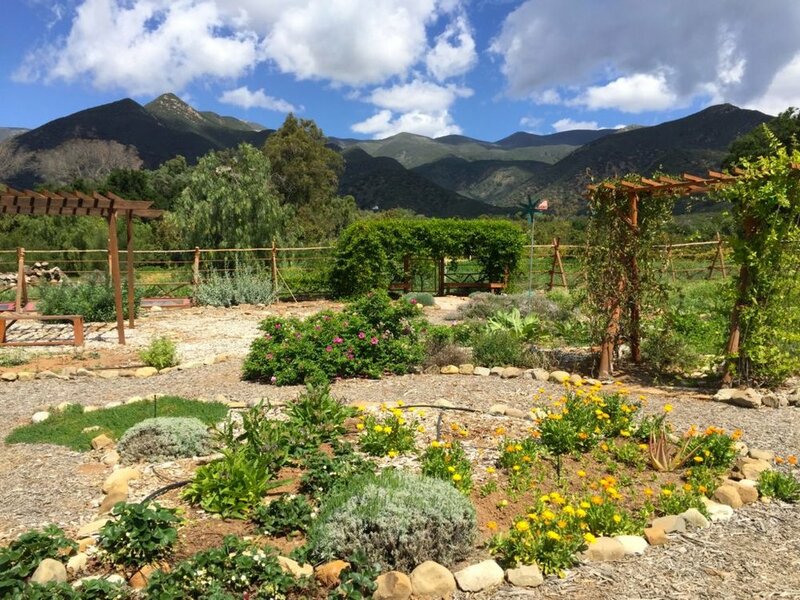 Access to Earth Island Herbs’ beautiful medicinal herb garden, nestled in Ojai’s East End at the foot of the Topa Topa mountains. Tools for determining what herbs best support specific issues in various body systems. Detailed knowledge of herbal materia medica of 75+ herbs. Preparation methods for making tinctures, salves, lotions, etc. Cultivation—requirements, pruning, harvesting, compost/green manure, irrigation, and pest management. Diet, exercise, stress management and lifestyle support. Thorough grounding in the cultural and historical context of herbs for health. Empowerment in personal and community health. Carol Wade has been practicing as a professional herbalist and nutritional counselor for over 20 years, and is a Registered Herbalist with the American Herbalists Guild. A highly experienced, knowledgable and warm teacher, Carol truly enjoys sharing her deep understanding of herbs with students and guiding them as they embark upon their own journey in herbal living. Classes will take place in Ojai, both at the Earth Island Medicinal Herb Garden and the adjacent Krishnamurti Foundation of America campus. Course tuition: $3600. A deposit of $600 is due upon registration. Fee includes all instruction, materials and facilities, including Earth Island Herbs’ full-sized herbal specimen garden. Room & board not included. Click the button below to register. Or contact Carol at 805-646-0693 or info@earthislandherbs.com. Due to the layered progression of the course, new students cannot be added after the first class weekend, and so unfortunately no refunds can be given once the course has begun.